By selecting the set as my group option, you will only be able to view trips that are sponsored by Florida Atlantic University. Florida Atlantic University and Go Next are pleased to offer exceptional travel opportunities available to you, your family, and your friends. Join fellow alumni and experience the camaraderie of exploring the world with like-minded travelers. Each Go Next trip has been thoughtfully selected with you and your alma mater in mind. We take care of the details, so you can relax and enjoy the company of your fellow alumni. Stand in awe of massive glaciers and all-enveloping scenery as you cruise up the Alaskan coast aboard Regatta. 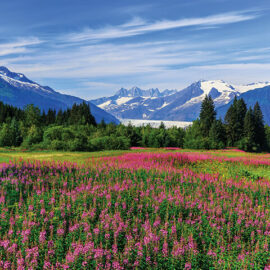 Explore Alaska’s breathtaking natural beauty, unique native culture, famous gold fields, and more on this ten-night trip starting and ending in Seattle.